The big win comes after the entire jackpot from a EuroMillions Superdraw was won by a single ticket holder on the night of April 24th. Someone from the Gloucestershire area has just had their life changed overnight as they have bagged a whopping £121 million, and they might not even know it yet! The draw took place on Tuesday night, and the winner managed to match all seven of the lucky numbers. According to Andy Cater, senior winner's advisor for the National Lottery, the win is a historic one, “A single ticket-holder has banked the entire £121.3 million jackpot and immediately becomes the third biggest winner this country has ever seen." This certainly isn't the first time the Gloucestershire county has produced a big lotto win. Over the years lotto players from the county have won prizes between £30,000 to £61 million. The biggest winner to come from the county before this was Amo Riselli, a 54-year old taxi driver and father of five, who scooped a £24.5 million win in December last year. The lucky numbers for this EuroMillions Superdraw came in at 20, 23, 28, 30 and 44, with the Lucky Stars at 3 and 7. We'll reveal the identity of this Superdraw winner when they come forward to claim their incredible win. Play for multi-million dollar jackpots below with the American Powerball lottery! Plenty of lottery players are apprehensive about buying tickets online, read everything you need to know about buying lottery tickets online right here. 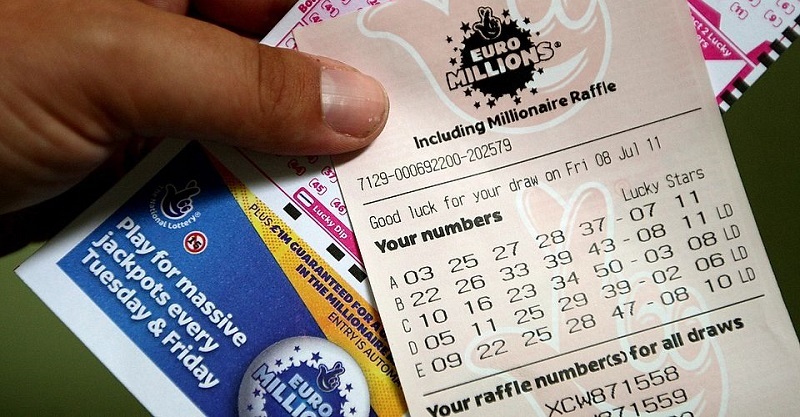 Think there's more to picking lotto numbers than what meets the eye? See this on how to master the game behind choosing winning lottery numbers. Imagine all the new moments you could make with $1,000,000! Did you know? : Giant Lottos regularly emails registered players exceptional discounts and offers that are not accessible anyplace else? Sign up right now and find regular reduced offers, that can be up to 20% off the globes most incredible lottery games!